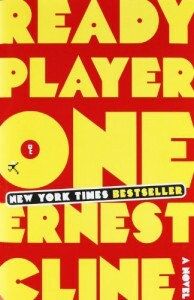 Ready Player One - Ernest Cline - review - Likest thou jelly within thy doughnut? 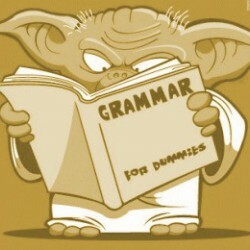 Finally a book that gets me! “We’re gunters,” I said, trying to fill the awkward silence. “We live here, in the OASIS. For us, this is the only reality that has any meaning.” This is it, right there. If you understand this quote, if you ‘totally get it’, then you will most likely love this book. “I created the OASIS because I never felt at home in the real world. I didn’t know how to connect with the people there. I was afraid, for all of my life. Right up until I knew it was ending. That was when I realized, as terrifying and painful as reality can be, it’s also the only place where you can find true happiness. Because reality is real.” But also this is most likely something you can relate to. I could. For the longest time, online reality has been a huge part of my life. Then I got to the point where I realized, this isn’t going to make me happy for the rest of my life. It might just be part of growing up, who knows, but eventually, virtual life didn’t make me happy either. Anyway, Ready Player One is a book for people like me. For people who obsess over things, have been or still are part of a fandom, and for people who rather live online because the real world around them doesn’t offer them any people who understand them. The book is not only packed with 80′s references – which just for that is all kinds of awesome – but it also references today’s geekdom rather well, so there is a Whedonverse, X-Wings, and Wade’s ship is called the Vonnegut. /commence the fangirlingIn the year 2044, OASIS is the virtual reality people escape to from their lives in the real world, a real world that is a place of poverty, hunger, and despair. Wade lives with his aunt in a stack, a trailer park where trailers are stocked on top of each other. Wade is 18 and spends most of his days in the OASIS, because that’s where he goes to school. But besides school, he loves hunting for the egg, which James Halliday, the creator of the OASIS has hidden inside the virtual world. But this isn’t your average easter egg. No, the egg’s finder will inherit Halliday’s fortune as well as Halliday’s OASIS avatar that is the virtual world’s super user. To find it, one has to solve three puzzles to find three keys, and Wade solves the first one. Suddenly, the hunt is on again, and turns into a fight for life or death, as a huge corporation sends in thousands of professional egg hunters with superior equipment and unlimited credits. Soon it becomes more than a game, and Wade quickly realizes that his life and the lives of his fellow ‘gunters’ are at risk, when his trailer park gets blown up, and one of his friends is killed. Within this hunt, Cline manages to write about the good and bad sides of virtual life, and how eventually, nothing is more important than reality itself.